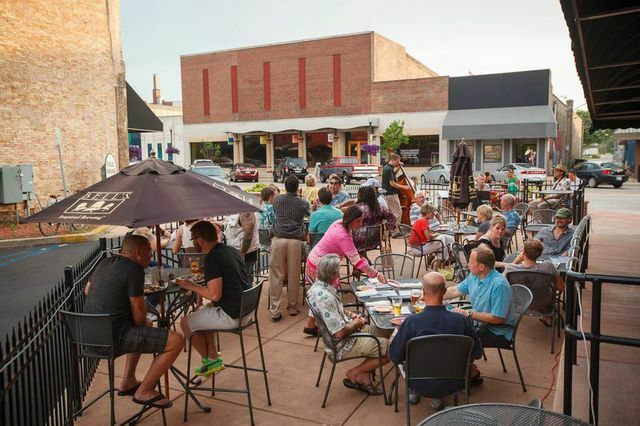 The spirit of entrepreneurship which led Elkhart to become a world leader in band instruments, recreational vehicles and manufactured housing is no less apparent in the attitude of downtown merchants. Ask any merchant why they haven’t migrated to a mall and you’ll hear a similar refrain. They are fiercely independent. Downtown merchants enjoy getting to know their customers and in delivering personal service that is unsurpassed. It’s not uncommon, when you shop Downtown Elkhart, to walk into a store and find yourself dealing directly with the owner. These are attributes you won’t find just anywhere. In addition, Downtown is host to a wide range of thriving professional and corporate offices including banks, law and accounting firms, realtors, title companies and much more.